This is a really nice wall, i love the colors, and how can you not love sasuke :p, although it would look better without the text i think. I like your background for the wallpaper. wow really nice wallpaper you've got here! Nice bg! AMAZING! 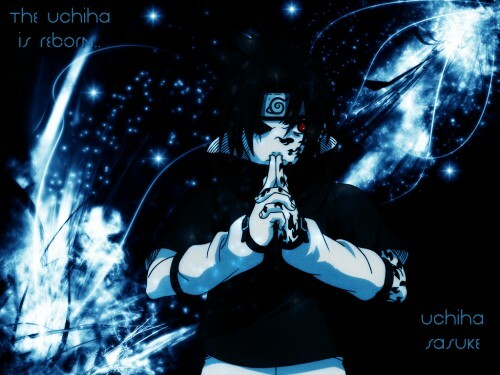 This has to be the best Sasuke picture I've ever seen. Awesome job, definite fav!